There are no liner notes, essays or books that could ever really put just how vast the influence of John Coltrane is. Maybe a multiple-tome encyclopedia. Maybe. These liner notes will be no such attempt towards that. However, with this brand new mix conceptualized by Colectivo Futuro’s Miguel Colmenares, maybe we can process a few ideas as to why he has become such an icon for so many all over the globe. Within this context, it’s easier to appreciate the expanding sounds of this mix. There’s something new. There’s something old. There’s something new with old. There’s something old with new. Through this range of time we also find ourselves in different parts of the world. We take a trip to Madlib’s Yesterdays Universe via the The Last Electro-Acoustic Space Jazz & Percussion Ensemble piece, “The Trane & The Pharoah (For John Coltrane & Pharoah Sanders)”. We find ourselves in Italy via the fusion avant-garde force that is Aktuala. We take a “Trane Ride” through South Africa courtesy of Tete Mbambisa. After a few stops in the land that birthed our visionary, we end in Germany with the beautiful Four For Jazz dedication “For John Colrane”. Think and feel the sounds that come through in this mix. Do these compositions not embody the possibilities within us and what’s around us? 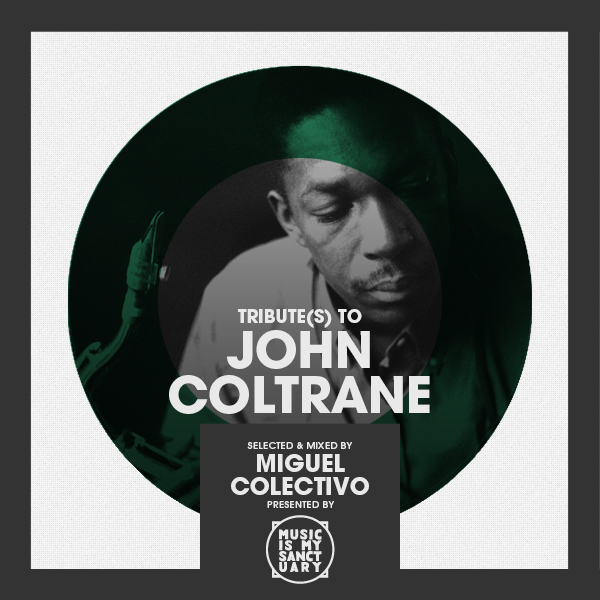 The sounds within this mix are all about John Coltrane, and to say they’re about John Coltrane is to simultaneously say that these songs are also about transcendence. They’re about harmony of spirit and self, harmony with society, and harmony with the universe. Healing. Realization of your higher self. Ultimately, John Coltrane is synonymous with freedom. The beautiful freedom. Forgotten Treasure: Pacific Shore "Curtis"